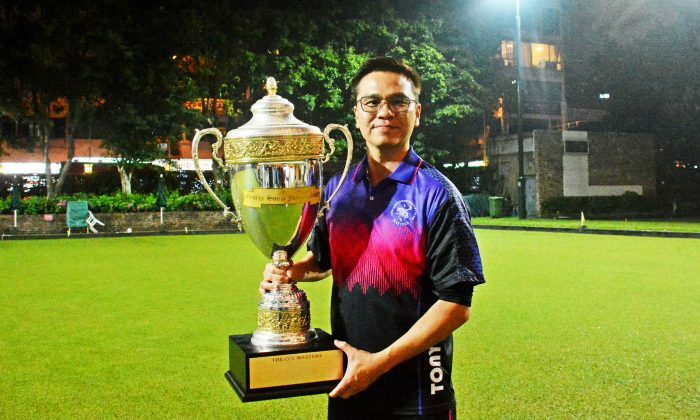 HONG KONG—Hong Kong International Tony Cheung continued his good form this year and collected his third singles titles at the inaugural CCC Masters on Sunday, March 24. 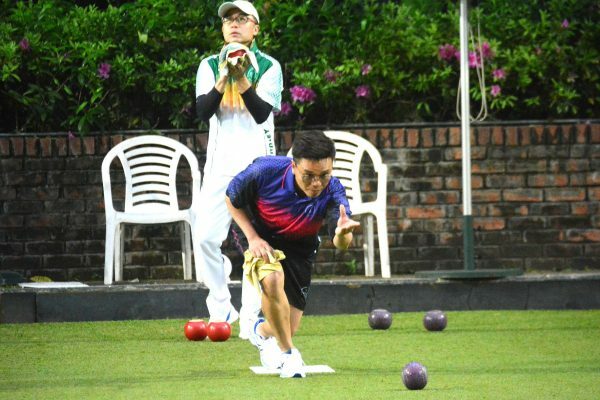 Cheung, who won this year’s National Singles and National Indoor Singles, was one of the 13 elite bowlers got invited to the CCC Masters, an event organized by Craigengower Cricket Club aiming at providing a platform for top level bowlers in Hong Kong to display their skills. This is also considered as the highest-prized tournament in Hong Kong as the champion will collect HK$30,000 as prize money. Those players including former Hong Kong number one Noel Kennedy, 2016 Bowler of the year Chadwick Chan, 2015 Bowler of the Year Jordi Lo, 2014 Asia Championship singles champion Dorothy Yu, 2012 World Singles Champion of Champions silver medalist Stanley Lai, the youngest ever National Indoor Singles champion Vivian Yip and promising young players Arthur Lam and James Po. They were joined by Imen Tang, Philip Chan and Sanlia Wong who entered the main draw through qualification matches. The tournament started last Friday when all 16 players were divided into four group to play in roundrobin, with the top two qualified for the quarterfinals. Cheung lost two games in group stage, both by a single shot, but still edged through on shot difference. He played Kennedy in a tight quarterfinal match and prevailed with a t21:15 victory. In the semi-final against Lui Chin Hong of CCC, Cheung needed to come from behind to win the game 21:18 and progressed to the final against Stanley Lai, also from CCC. There was lot of similarities between the two players as they both won the National Singles twice, has been the bowler of the year and also finished with silver medal at the World Champion of Champions. The main difference is that Cheung’s achievement is more recent. They displayed the highest standard of drawing and resting shots and the head was turned almost after every bowl. Lai continued his fine form that saw off clubmates Lee Ka Ho and Imen Tang in previous two rounds and was leading 10:3 after the eighth ends. Then Cheung picked up the pace of green and won nine shots from the following four ends. Both players continue to play with the highest skill and the score was close at 15:16 in the seventeenth end. In the eighteenth end, Cheung drew two close shots and Lai tried to take out the shots with the last bowl but missed. The following end saw the same situation and this time Lai decided to draw the last bowl but it was too narrow. Cheung took one more shot in the following end and finished the game 21:15. When committing that this event will continue for the years to come, he also challenge other prestigious clubs in Hong Kong to organize similar tournament to improve the overall bowling standards here. 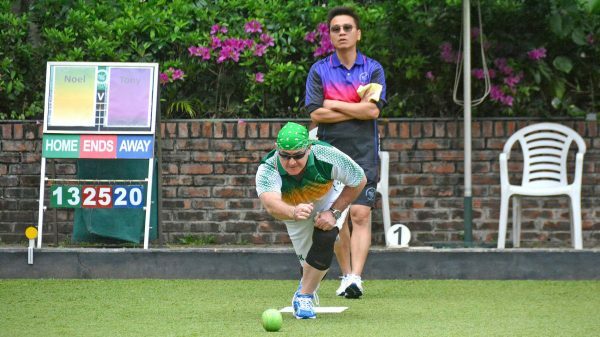 This weekend will see the third round of the National Pairs playing around all greens in Hong Kong, with the women games started at 10:00 am and the men’s game at 3:00 pm.